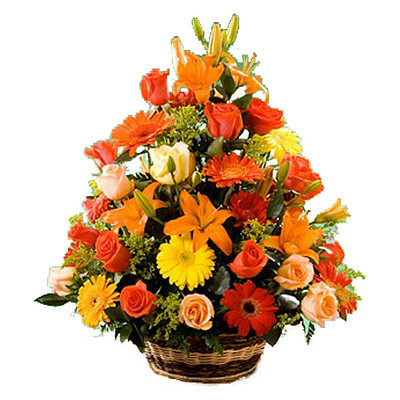 Evoke the spirit of Fall with our stunning Autumn Basket. Warm golden tones fill the air with the sweet scent of yellow and orange roses, orange daisies and goldenrod. Our tall Autumn flower basket is the perfect arrangement.